One of the most famous bodybuilding movies of all time – starring the legendary Arnold Schwarzenegger. This is the 25th Anniversary edition of the original production. 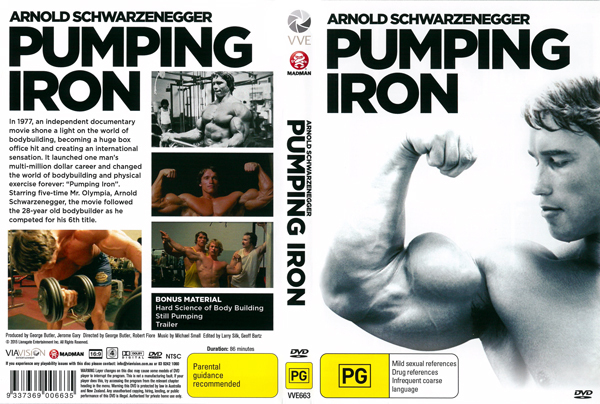 This is the most famous bodybuilding DVD ever produced! It is the definitive DVD on the sport of bodybuilding and has been seen by more bodybuilding fans than any other DVD on our great sport. This film also introduced Arnold to a wider world audience, and also put him on the map to go on to a huge and very successful career in the movies. Iron and Beyond – explores Pumping Iron’s impact on the fitness industry and Hollywood’s idea of the action hero – not to mention Arnold’s own movie career. Raw Iron: The making of PUMPING IRON – includes exclusive outtakes and an interview reunion with the original PUMPING IRON bodybuilders and director. 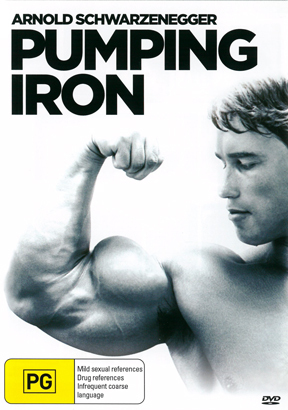 Iron insights – a 2003 in-depth interview with Arnold himself, in which he finally gives surprising answers to the controversial questions he’s frequently asked about the film. Video bio of Arnold – a comprehensive biography with exclusive photo gallery. AND OF COURSE – PUMPING IRON itself – digitally re-mastered.